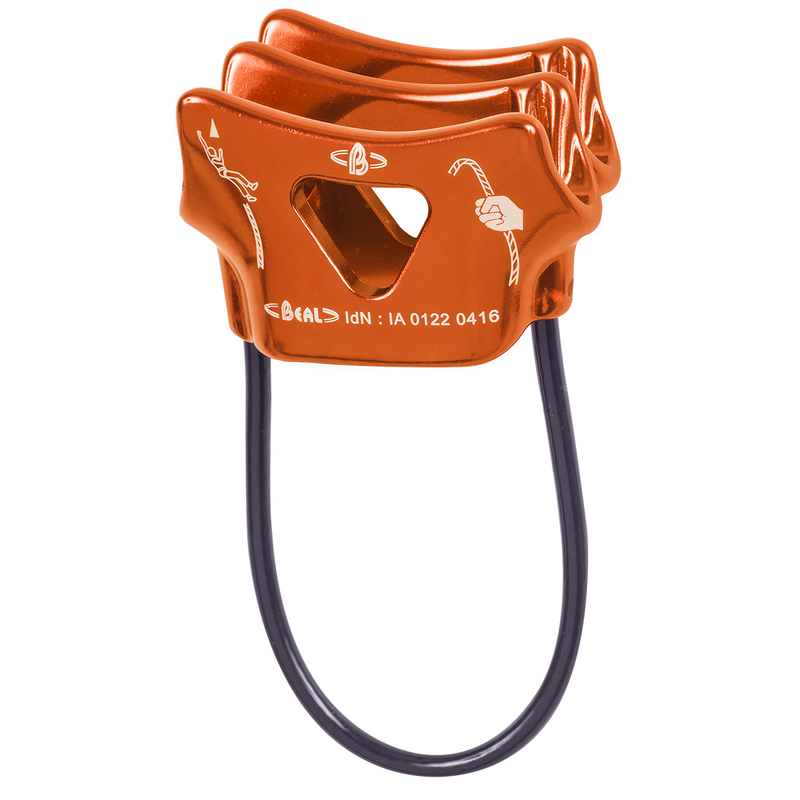 The Beal Air Force Two is a single, half, or twin rope belay device that works with a wide range of rope diameters and all types of climbing. The Air Force Two features Beal’s V-Groove friction system, designed to provide friction when it is needed and improve rope braking when the climber falls. Beal have designed this to still allow the rope to be given out smoothly. Straight edge decreases rope wear.